Yesterday, during a press event, Yang Liwei, China’s first astronaut, put several interesting pieces of information on the table in the ongoing debate about China’s integration into the international space community. 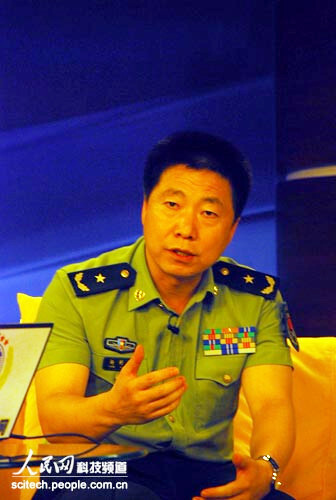 Yang is also the Vice-Director of China’s Manned Space Engineering Office. in the future, our country will energetically seek cooperation with the International Space Station (ISS). in the future of the space enterprise, international cooperation is an important trend. From a technical point of view, there is no technical difficulty in having our spacecraft and space station engage in international cooperation. But, because the docking standard on our space station and the international space station are not the same, the unification of standards is the first problem that needs to be solved in opening up and developing space station cooperation. This contradicts earlier U.S. reports that China had developed an ISS-compatible docking mechanism. Finally, Yang noted that “transparency” was a “prerequisite” for seeking international cooperation in space activity. These statements raise some interesting questions. If China was seriously planning on pursuing international cooperation, especially some sort of agreement on participation in the ISS, why would it be developing a potentially incompatible docking technology for its own space station? The first test of its docking mechanism is scheduled for this fall. China plans to launch an experimental space lab and conduct a remote docking mission with an unmanned Shenzhou spacecraft before the end of the year. Yang’s comments on the possible compatibility problems associated with China’s docking mechanism also suggests that China’s Shenzhou human space flight program may rely on indigenously developed technology to a much greater degree than many American analysts assume. One prominent US observer, for example, once suggested that China’s Shenzhou space craft was fitted with a Russian docking mechanism that could dock with the ISS. If China was receiving significant technical assistance from Russia, and planned to participate in the ISS, Russia could have provided China with a compatible docking mechanism. Yang’s announcement suggests China developed its own docking technology. Moreover, in Yang’s view, and presumably in the view of the Chinese Manned Space Engineering Office, this is a problem that needs to be addressed if China is to participate in ISS activities in the future. Finally, Yang’s comment on transparency should be welcome news to many US observers who express concern about the motivations for China’s foray into human space flight. Unfortunately, at a time when China may be more willing to be more open about its human space flight program, Congress has barred NASA from even talking to them about it.